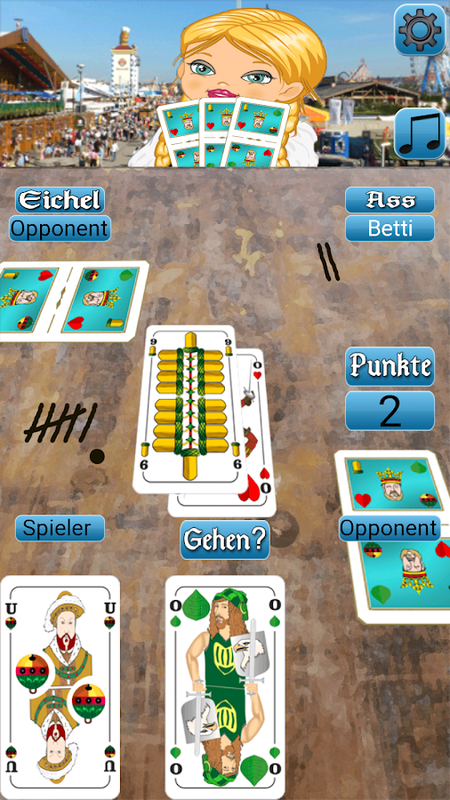 Mau Mau - the card game (bavarian deck of cards)In the 4 playermode you play with two decks of cards to avoid having no cards lefton the stack.Download the mau mau application and play entertainingrounds against the computer. The application is easy to use. 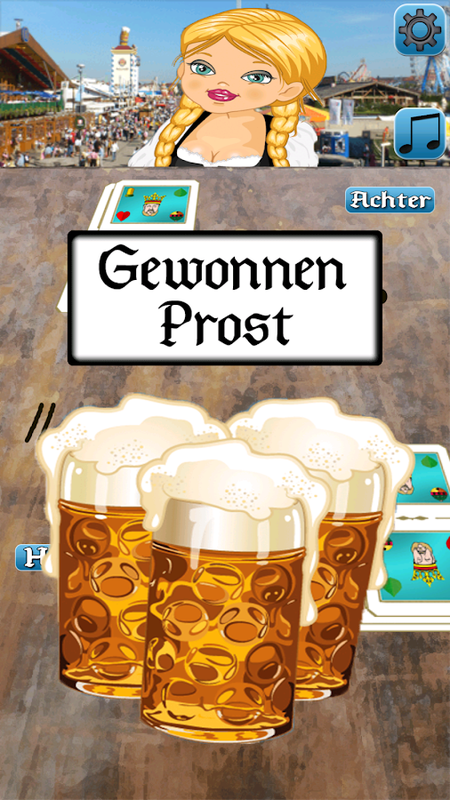 Itserves both the experienced mau mau - player for entertainment, aswell as a beginner who wants to learn the card game. 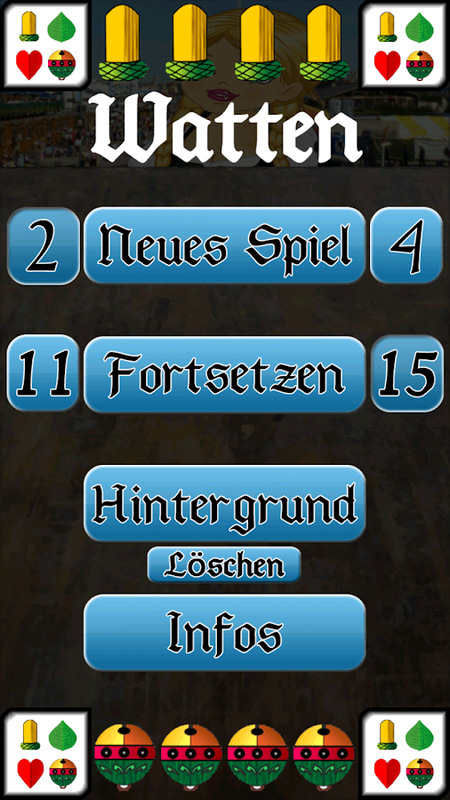 For thispurpose, the rules are also again in the application for futurereference available.In 2-player mode, points are counted up aftervictories. 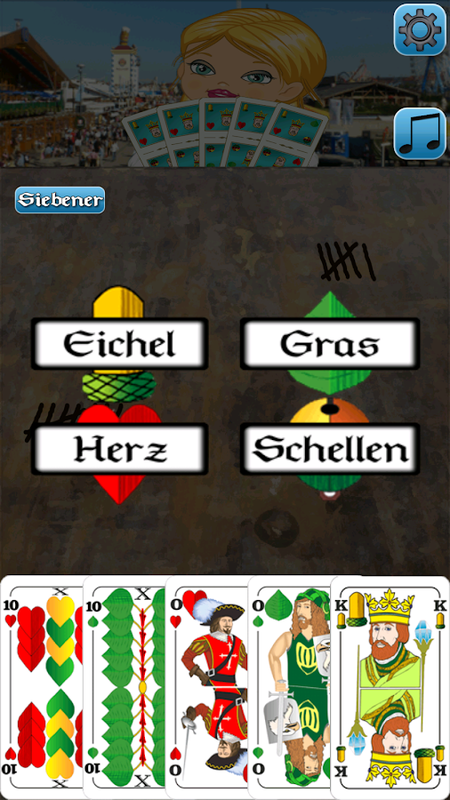 In the 4-player mode points are distributed asfollowing:1st: 4 points 2nd: 3 points 3rd: 2 points 4th: 1pointRules:At first every player gets 5 cards. An additional cardis revealed in the middle. Clockwise one after another leads one ofhis cards. 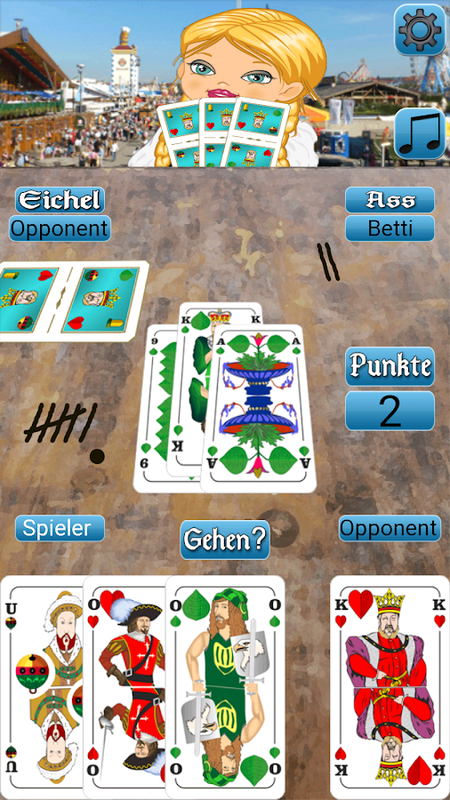 If a player has got no matching card, he must draw a newcard from the stack and lead this one or suspend. 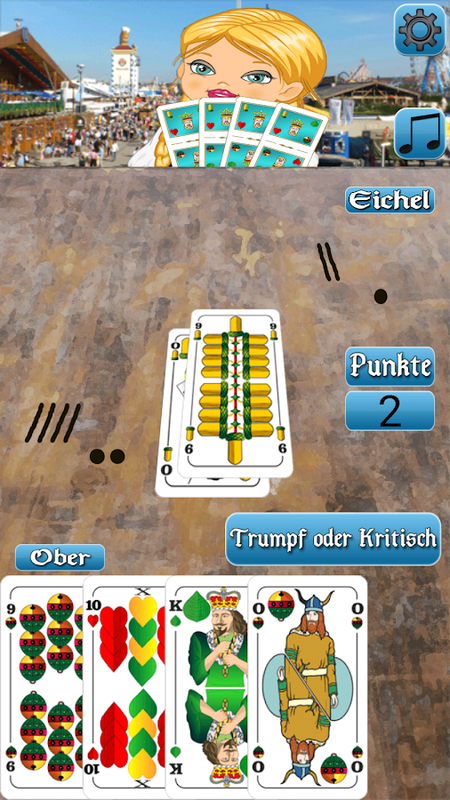 If a player hasleft only one card on his hand, he announces this with a „Mau“. Assoon as he manages leading his last card, he has to say "MAU MAU"and bows out of this round. Principle each leading card thatmatches either the number or the color of the card that lies in themiddle can be led.Specifics:7 = the following player has to pick up2 cards or equally leads a 7-card and raises the cards to pick upwith 2 further ones.8 = the following player isskipped.U = thiscard can be led every time except a 7-card lies in the middle andthe player has to pick up some cards. With this card the player isallowed to require the colour of the following card (clubs, spades,hearts, diamonds).I like to take up wishes by email.